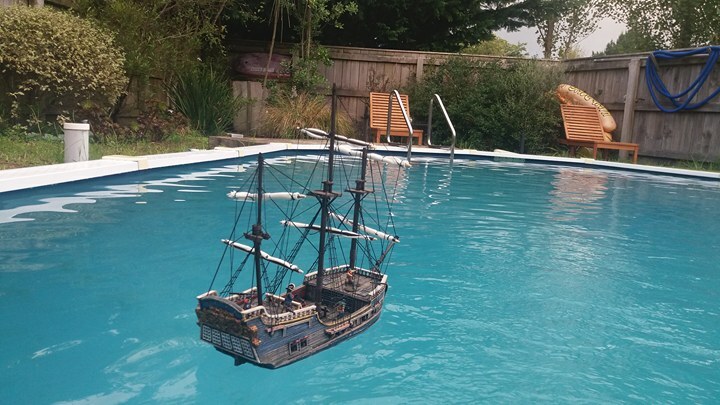 Having found by chance that a couple of ships I made recently actually floated (they're 3D-printed prototype models from Printable Scenery's new 'Lost Islands' Kickstarter), I began to think how you could actually use them in a war-game in the pool?! 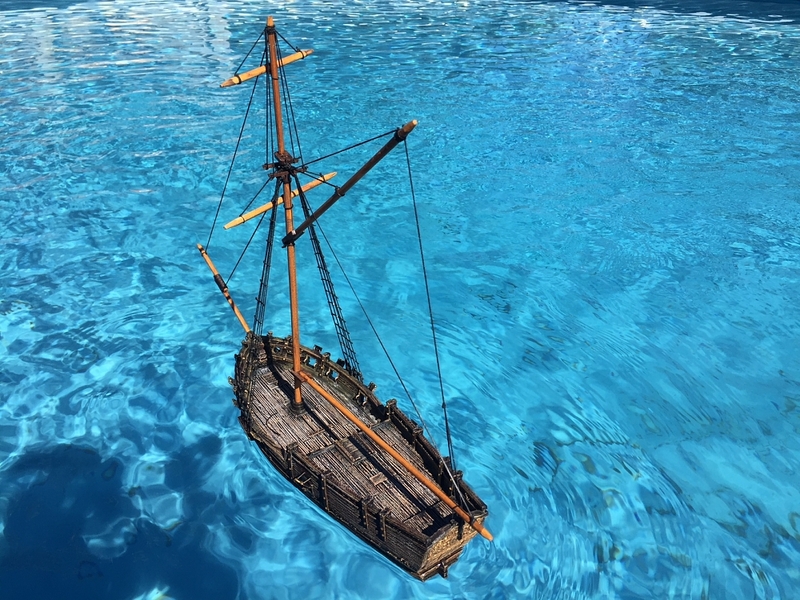 - If the ships were moored to weights on the pool bottom, you could move them simply by moving the weights along the bottom. - Having both fore and aft mooring lines to the weight for each ship would mean you could turn them to face any direction. - Movement and firing distances would have to be pretty inexact, as you couldn't measure accurately. 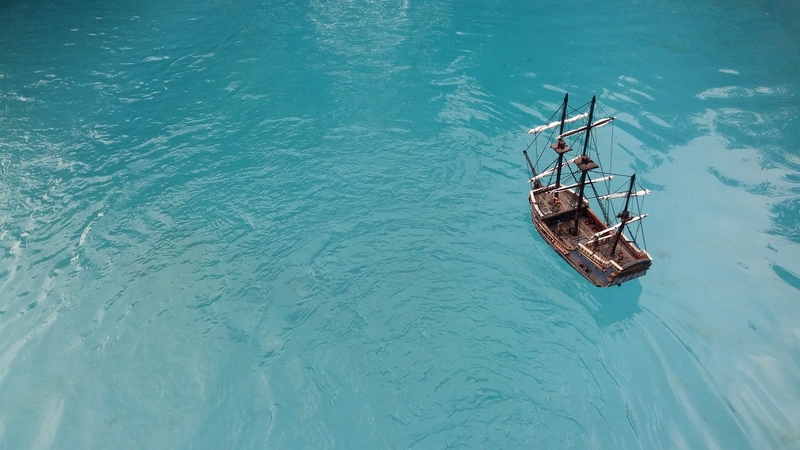 - Damaged ships could be shown by shortening the mooring string to pull the hull down into the water as though it is listing or sinking. What other ideas do you have?! My here's my take on the last scene in the movie 'Master and Commander'! 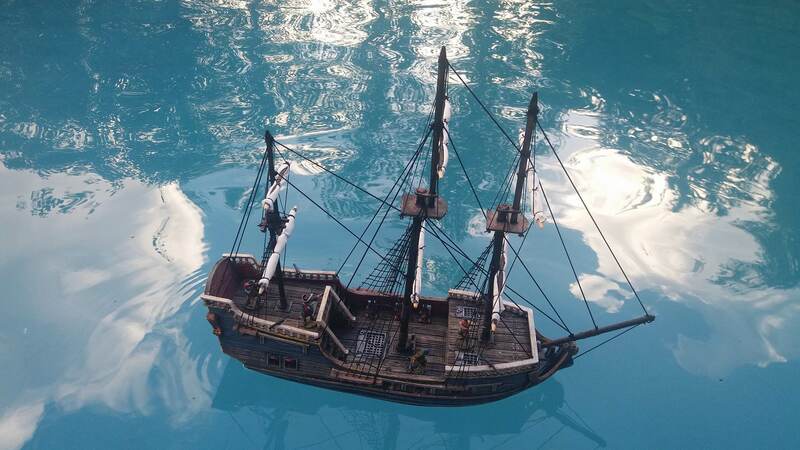 If I'm playing in real water, I'm going use remote-controlled ships with working cannons mounted and just let them have at it! You guys need to visit Scarborough in Yorkshire! They'll fight to the last man; after all, they can't expect to jump overboard and swim ashore! Agree they are very nice pictures. YOu should make some unfurled sails, that would be cool.